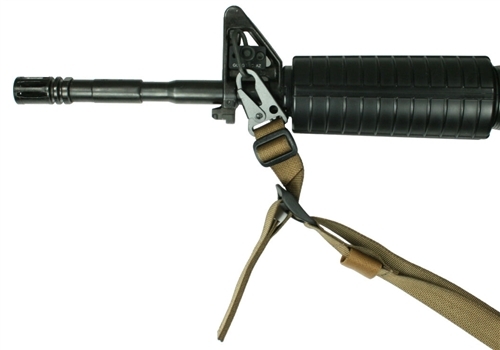 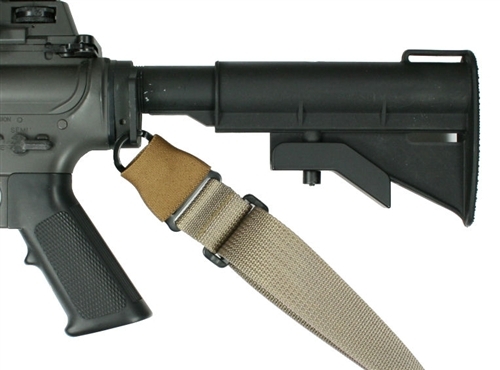 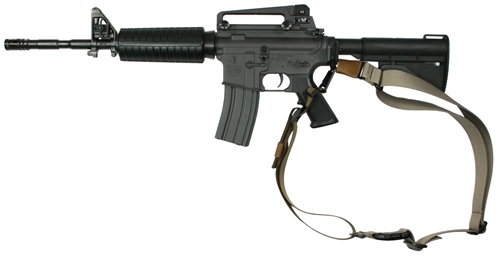 The SCS Sling was designed by a SWAT operator to be a versatile sling that can be used in both 1 and 2 point formats with weapons that are equipped with side receiver sling mounts and front sling hooks or loops. 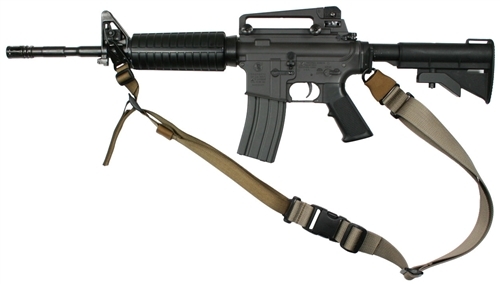 This sling address a common issue with the 1 point sling in that, while an excellent sling for dynamic entry ops, it provides no muzzle control that is needed when climbing, controlling detainees, perimeter duties, etc. 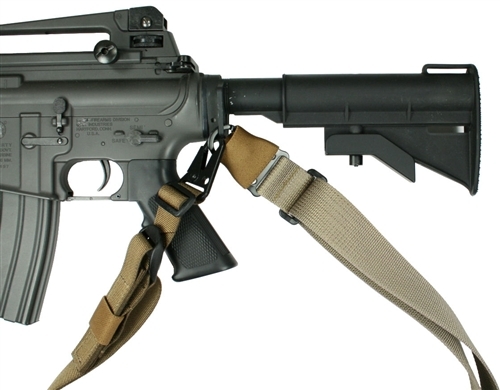 With the SCS Sling the weapon can be converted from 1 point to 2 point sling formats in seconds and back again just as easily.